My name is Patricia Iarossi ~ I am the designer, artist & maker of KYMA STYL. I have Italian, German & Greek roots. My dream is to live a simple and inspiring lifestyle ~ full of sun, waves and art. by choosing the Greek Island of Kos as my 2nd home. I create handmade & handpainted lifestyle, fashion & art pieces. 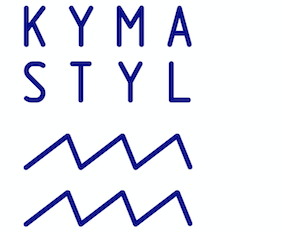 All KYMA STYL products are unique & individual. driftwood & sea stones, raffia, cotton & recycled yarn, wooden beads & gemstones. gives a piece of happiness to his new owner & a little bit of a lifestyle feeling by the sea!